Lexington, KY - June 29, 2016 - Equithrive®, the pioneer in equine Resveratrol therapy, will be participating in two series of world-class show jumping events this summer. The developer of the first and only clinically proven joint supplement (Equithrive® Joint) will be present at the Great Lakes Equestrian Festival and the Tryon Equestrian Center. The company has an ongoing focus on research, development and sales of products that address conditions caused by excessive or chronic inflammation, including arthritis, Equine Metabolic Syndrome (EMS) and laminitis. Their presence at horse shows is to help make it easier for horse owners, riders and trainers to learn about how Equithrive® Joint can help their horses. 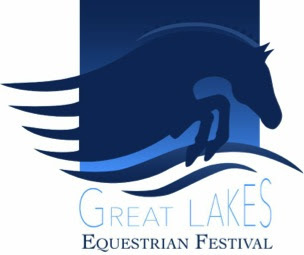 Equitrhive® is proud to be sponsoring the Great Lakes Equestrian Festival, which runs July 6-31 and August 10-28 at Flintfields Horse Park in Williamsburg, Michigan. Great Lakes offers seven weeks of top hunter-jumper competition including the $25,000 USHJA International Hunter Derby, weekly $50,000 Grand Prix classes and World Championship Hunter week. Equithrive® is also part of world-class show jumping at the Tryon International Equestrian Center, an international hub for many of the world's top equestrian athletes held all summer long in North Carolina. Tryon features weekly Grand Prix classes with prize money ranging up to $216,000 along with an expansive list of hunter and jumper classes. "We are so excited to be sponsors of these world-class hunter jumper horse shows," said Dr. Patrick Lawless, founder and CEO of Equithrive®. "Great Lakes and Tryon are exceptional events that provide the best for both horse and rider which clearly matches our mission - To provide the most advanced and scientifically proven products for horses to help keep them sound, healthy and happy." "I plan to spend time at both Great Lakes and Tryon and look forward to meeting with competitors to answer any questions they make have about Equithrive® and how it can help their horses." Equithrive® has an impressive Team of sponsored riders that includes USDF Gold and Silver medalist Allison Brock who was recently named to the U.S. dressage team for the 2016 Rio Olympic Games, Olympic eventing rider Will Coleman, international show jumpers Derek Braun and Megan Nusz, World Champion reiner Carol Metcalf, professional reiner David Handon, and professional cutter Phil Hanson. Equithrive® is the pioneer in equine Resveratrol therapy. Equithrive® has developed a proprietary Resveratrol product (Resverasyn®) that recently has been proven in multiple university studies to reduce lameness, inflammation and oxidative stress in performance horses. Excessive inflammation plays a major role in arthritis and in Equine Metabolic Syndrome (EMS). The company developed Equithrive® Joint to support healthy joint function in horses during aging, training and competition. Metabarol® contains a higher dose of Resverasyn® and has been demonstrated to reduce insulin levels in EMS horses that are prone to foundering. Veterinarians across the United States now routinely prescribe Equithrive® Joint and Metabarol® to support joint health and metabolic function in equine athletes and in older horses. Equithrive® is the global leader in Resveratrol therapy for horses. For more information about Equithrive®, please visit www.equithrive.com or call 866-721-1412.